A porcelain vase of tulip shape, the rounded sides rising from a circular foot and flaring outwards towards the rim. 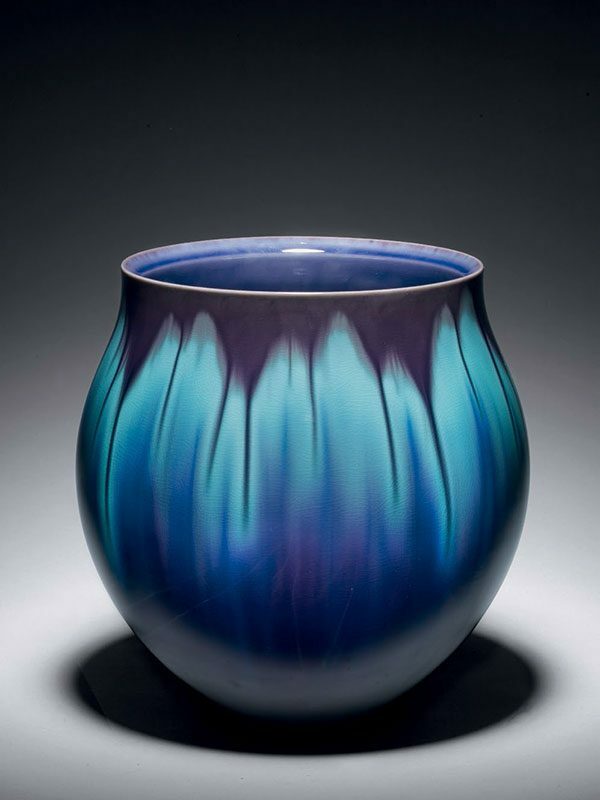 The exterior is covered in a carefully controlled applied glaze consisting of purple and turquoise colours, with the purple neatly draining in streams from the rim. The interior is similarly covered in turquoise and purple glazes. The recessed base is painted in red with the signature of Tokuda Yasokichi III. 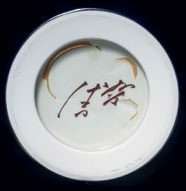 Contained within the original tomobako, inscribed with the signature of the artist. The National Museum of Modern Art (ed) A New Guide to Modern Japanese Craft Arts, The National Museum of Modern Art, Tokyo, 2015, p. 72.